Okay so I’m a born and bred “one eyed Cantabrian” – that means I was born and grew up in Christchurch, New Zealand. Most of my family are still in ch-ch so as you can imagine I have spent a lot of time lately learning about earthquakes. Because I believe information is power I want to share this info with as many people as possible. I apologise in advance if any info is not quite right but I have done all I can to give what I believe to be the facts. The below pictures are from the ch-ch quake. Firstly I’ll give you a list of Richter scale magnitudes and what that means in terms of dynamite/TNT. 9.5 = (Approximately 178 billion tons of TNT) – that’s about 10 million Hiroshima bombs. 12.5 = Yucatán Peninsula meteor impact (creating Chicxulub crater 65.5 million years ago) (Approximately 160 trillion tons of TNT) – That’s about 6 billion Hiroshima bombs. There is some dissention over the Yucatán Peninsula meteor impact, some say it was magnitude 12.5 and others say it was 13.0. How do they measure earthquakes? Seismic waves are the vibrations from earthquakes that travel through the Earth; they are recorded on instruments called seismographs. Sensitive seismographs, which greatly magnify these ground motions, can detect strong earthquakes from sources anywhere in the world. 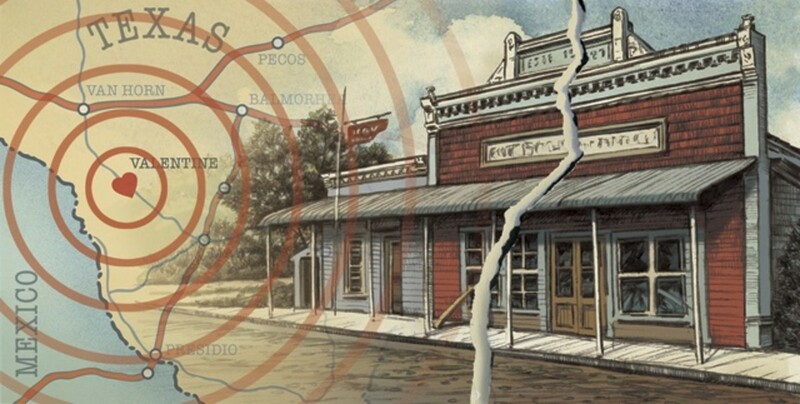 The time, locations, and magnitude of an earthquake can be determined from the data recorded by seismograph stations. Who Invented the richter scale and when? Okay so earthquakes occur along (or on) fault lines. Scientists say some of the deep ones don’t i.e. 600km however I believe these also occur on fault lines that are called “blind fault lines” (this basically means it’s a fault line the scientists haven’t found or don’t know about yet or don’t have the equipment to find yet. 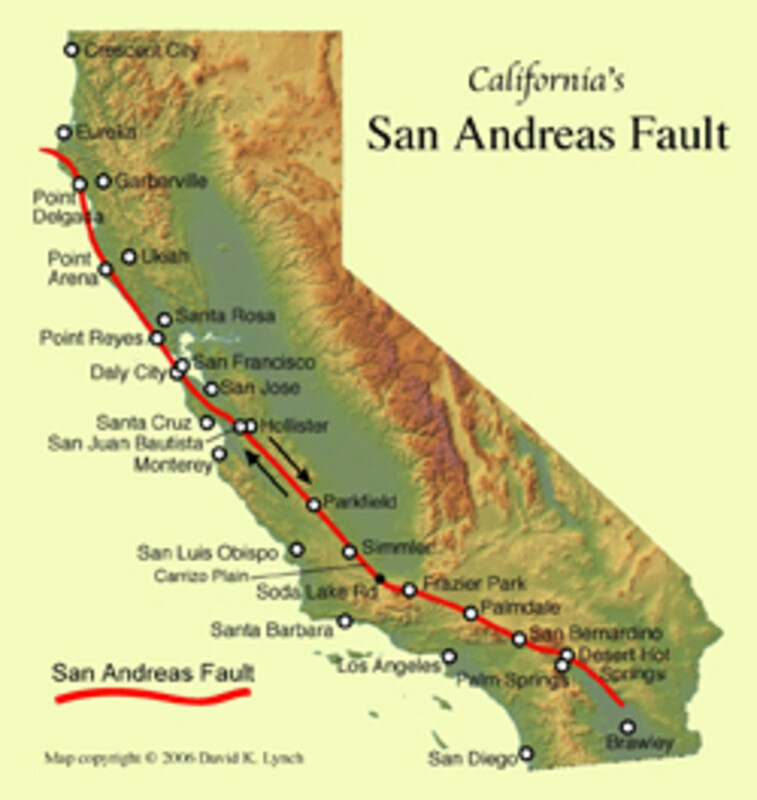 The ch-ch quake was on one of these blind fault lines. Scientist’s don’t seem to be able to track the fault lines which are underwater as yet either from what I've read. This means it’s hard to tell what movement if any are happening on the underwater fault lines unless something major like the Japan shake happens. This seems to be when subs etc. are sent to look at the area and find/measure movement of the tectonic plates. It seems that the only difference between subsidence and liquefaction is that in subsidence the sediments and clods of dirt that are (shaken loose or caused to crumble don’t have the water content amongst / in them. This means that as the sediments “settle” this can cause the land to sink downwards and can cause the ground at these areas to loose there weight bearing strength. (This means buildings may partially sink into the ground). This would be like a desert based quicksand. 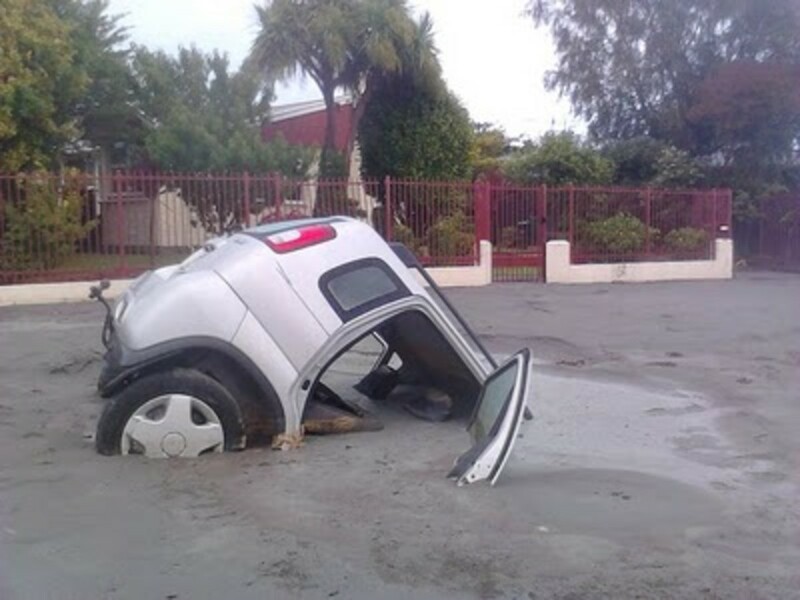 However in liquefaction the ground is basically waterlogged so as the sediments and clods of dirt are shaken loose or caused to crumble the water rises up to the ground. This can also cause the ground to lose its weight bearing strength and become similar to quicksand. 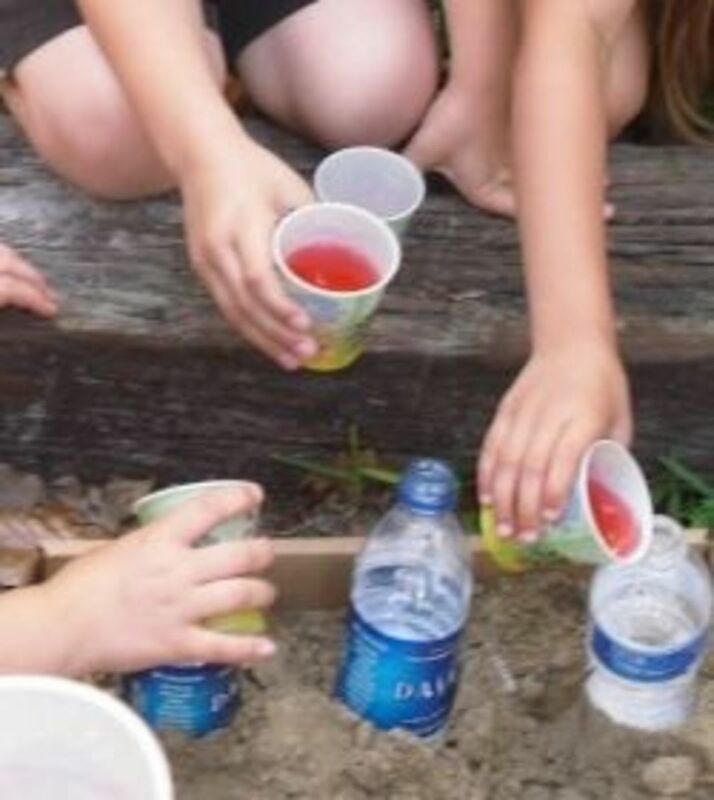 My belief is that the sediment (also known as silt) may be made by the larger clods of dirt crumbling due to the force of the earth shakes and falling into the normal area water drains down to before slowly evaporating which mixes the 2 together and begins the silts rise to the surface. The reason I believe this is because if you take clods of normal dirt hose them down and wait for the dirt to soak up all excess water then shake the dirt vigorously although water rises out of the dirt it doesn’t do so as silt. This makes me believe there must be another reason that silt appears after a large ground shake. 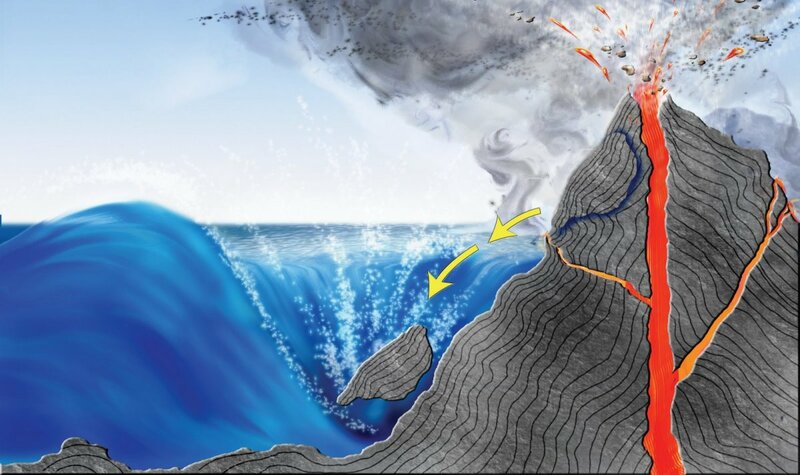 Scientists state that "Seismic waves are generated when the two sides of the fault rapidly slip past each other." I guess that’s a very scientific way to put it. 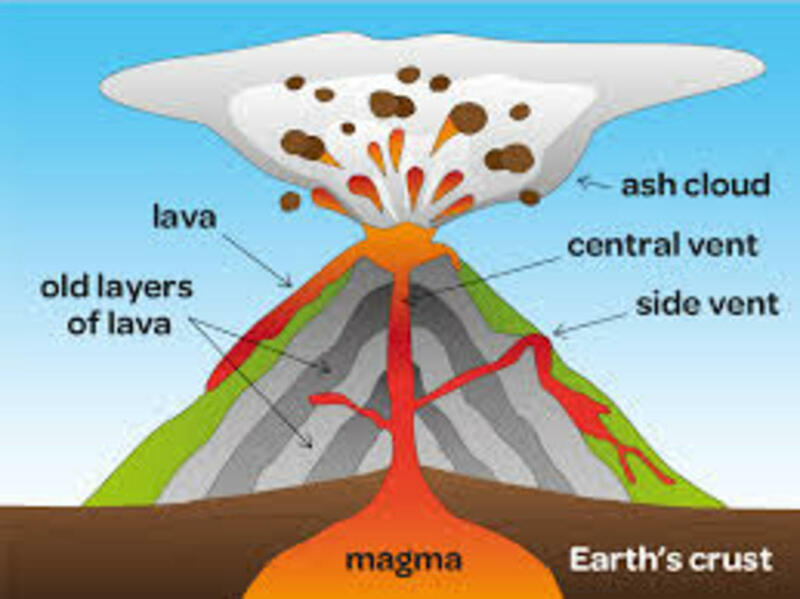 So this means an earthquake/earth shake occurs when one plate moves either up, down or sideways to its neighbouring plate. Anyway let’s take a look at what the different types of faults are and what their nature is. 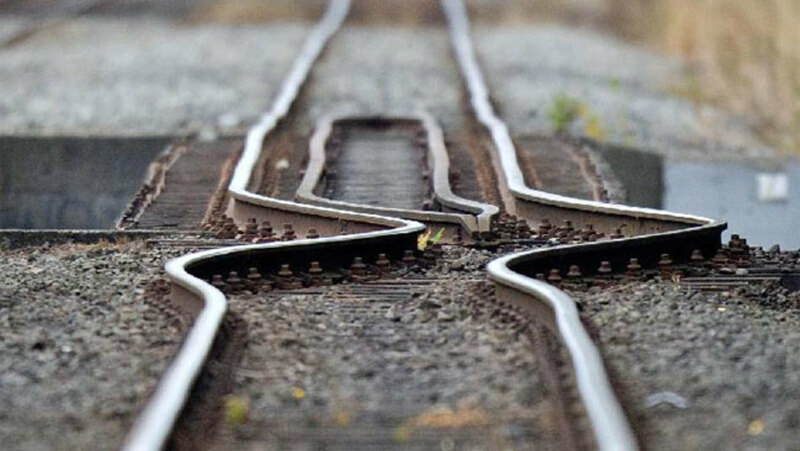 Normal faulting happens when two plates move away from each other causing the land in-between the two plates to slide downwards and settle once it is secured by the moved plates. I have found no info at this stage that lets me know what happens when the centre ground is no longer large enough to be stopped by the plates that have moved away from each other. Reverse faulting happens when two plates move towards each other pushing the land upwards between them. This seems to be the way most mountain ranges are created. It also makes me wonder why our scientists never thought there may be a high possibility of a fault line being present due to the presence of the port hills in Christchurch.– reverse slip/faulting can also be referred to as Thrust faulting. 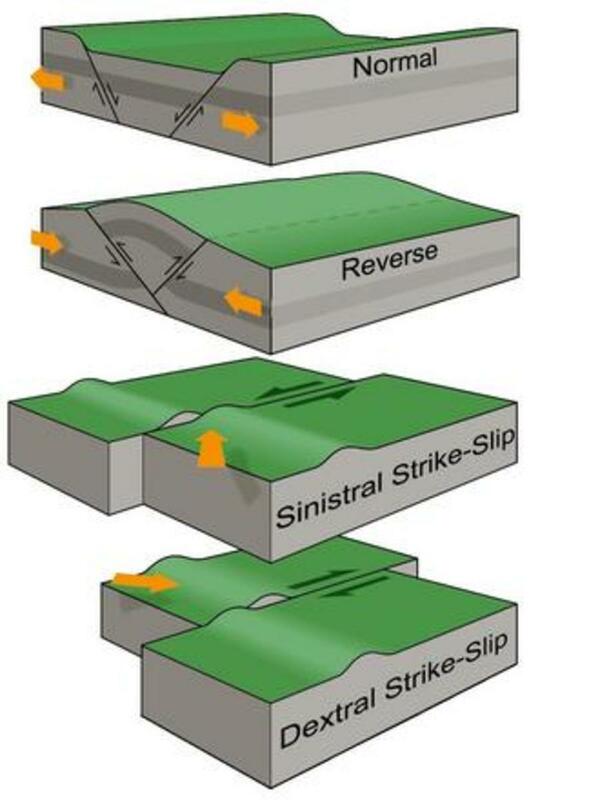 Strike-slip occurs when the two plates move sideways instead of towards or away from each other. This is called sinistral when the far side moves to the left, and dextral, when the far side moves to the right. I am assuming if only the front plate moves it would still be called either sinstral or dextral. Oblique slip is when there is a presence of 2 or more of the above types of earthquake slips, as in the 1855 Wairarapa Fault rupture in New Zealand. This earthquake had both reverse and dextral movement. Scientists say that "Faults can be as short as a few metres and as long as 1000km." I’m assuming they mean by this the area of the tectonic plate to rupture can be anything from small to rather large. The depth of the fault to rupture also seems to have a high effect on how much liquefaction and devastation to buildings occurs. 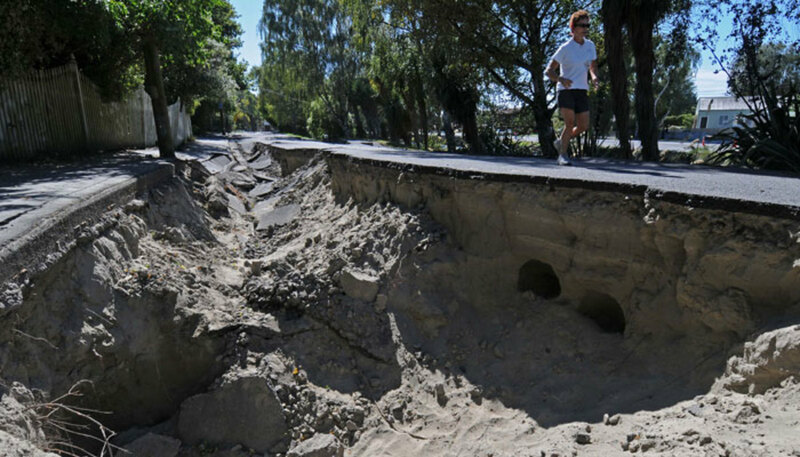 The larger rupture in New Zealand on the 4th September 2010, of 7.1 and a depth of 11.0km did less damage and caused nearly no liquefaction. There were only a few small spots of it. 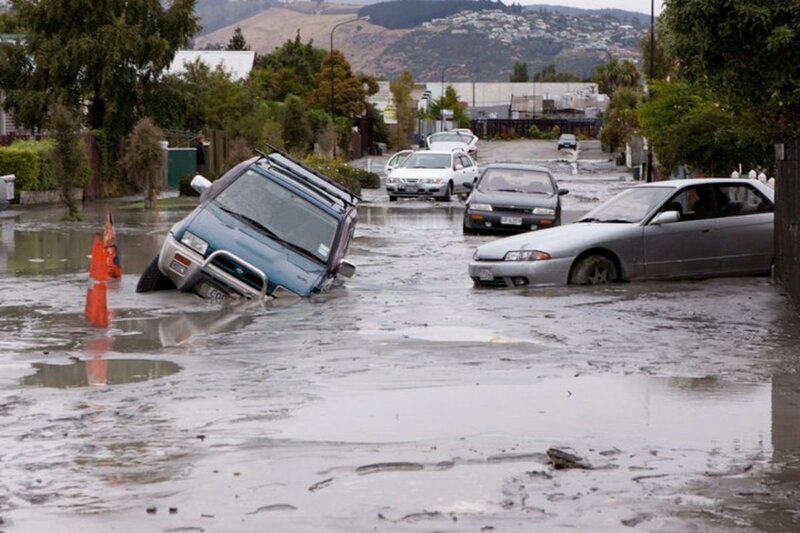 However the 6.3 quake on 22nd February 2011, at a depth of 5.0 caused massive devastation to buildings and the liquefaction was extreme and widespread. The ionosphere is energised before an earthquake and can be the reason why animals are disturbed and some people experience discomfort, pressure of the head or ear tones. 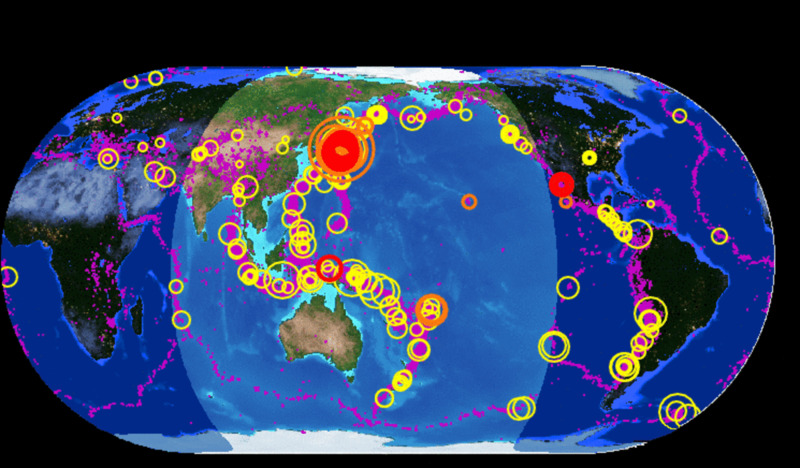 Most large magnitude quakes have some interesting effects on our planet. 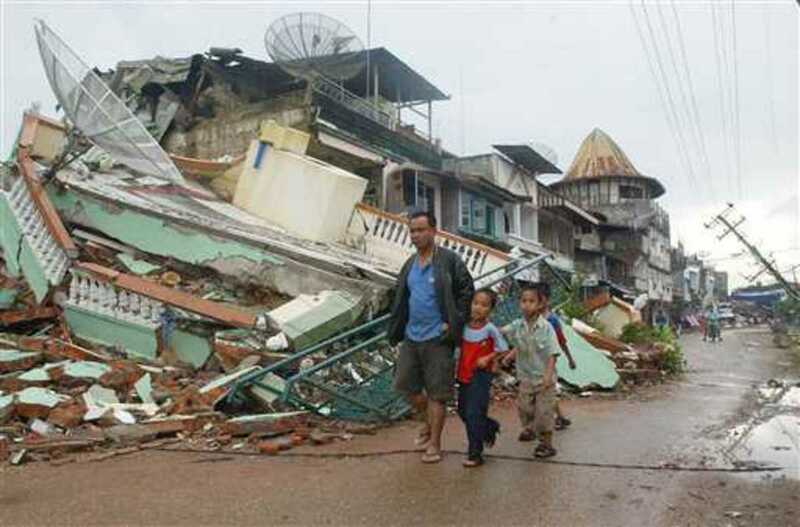 In 2004 the Sumatran quake shortened our day by 6.8 microseconds and shifted the Earth’s axis by about 7 centimetres. The 8.8 quake in Chile 2010 shortened our day by 1.26 microseconds and moved the Earth’s axis by 8 centimetres (3 inches). Japans March 11th 2011 - 9.0 quake shortened our day by 1.8 microseconds and moved the Earth’s axis by 17 centimetres. NASA said there is nothing to worry about as the Earth’s axis changes many times a year and that these changes are in fact more severe than those created by the Earthquakes. The length of the day can change by about 1 millisecond. The position of the Earth’s axis also changes by about 1 metre. The 17 centimetre move in the Earth’s axis from the Japan earthquake will cause the Earth to wobble slightly differently as it turns but again scientists say that this is fine and won’t send us off our trajectory path.